A winter storm system is sweeping across the Midwest before heading to New England, bringing snow and strong winds. The National Weather Service has winter storm warnings in effect from the Dakotas, across the Great Lakes states and into New England. 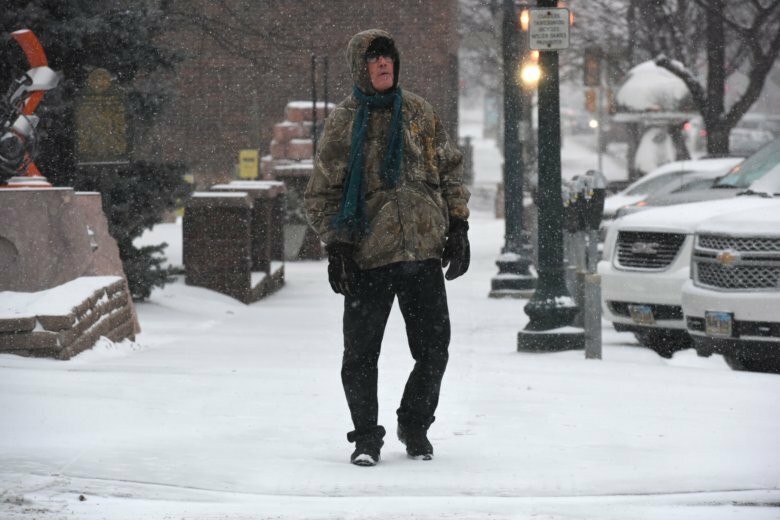 The storm started Friday, bringing snow to South Dakota and leading to deteriorating road conditions in Iowa. Freezing drizzle is slicking roads in Nebraska. The storm is expected to bring between up to 10 inches (25 centimeters) of snow to the Midwest before walloping the Northeast with up to 2 feet (0.61 meters) of snow Sunday. Chicago is forecast to receive as much as 8 inches (20 centimeters) by Saturday and New York City is expected to see up to 6 inches (15 centimeters). Wind gusts in the Chicago area are expected to reach 35 mph (56 kph). Bitterly cold air is expected in the storm’s aftermath. A strong winter storm system is forecast to sweep across the Midwest into New England, bringing double-digit snow accumulations and high winds. The National Weather Service on Friday had winter storm warnings and watches in effect from the Dakotas, across the Great Lakes states and into New England. Forecasters say the storm is expected to begin Friday afternoon in the Chicago area, bringing as many as 9 inches (23 centimeters) of snow before intensifying and reaching New York.